It was pretty evident early in stage 11 that Andy was in rough shape. 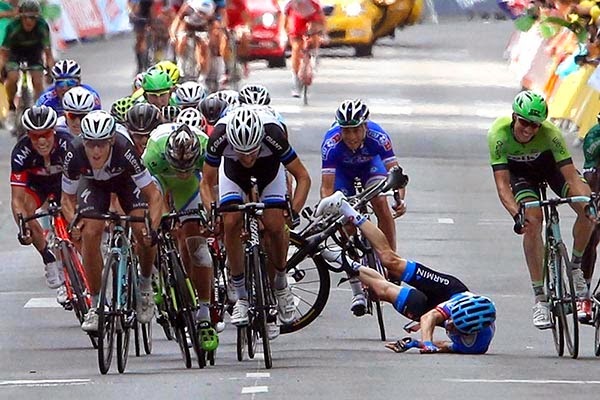 He fell off the back of the peloton and was losing time to the leaders at an alarming rate. 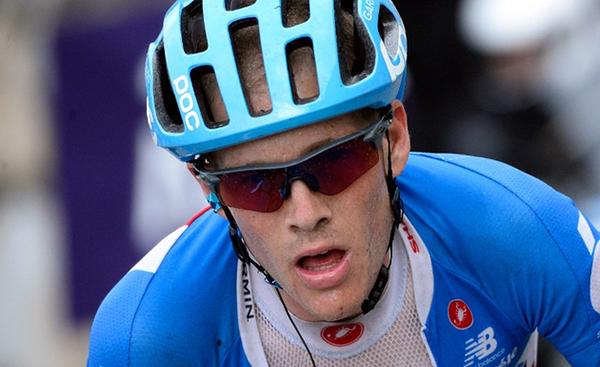 He was in very real danger of being eliminated from the race for finishing more than 8% behind the stage winner. His earlier crashes had left with with massive amounts of road rash and severe back pain. At one point in stage 11 the pain was so bad that he had to get off the bike and sit on a guard rail for 4 minutes. At that point he had 40 miles left in the race. French TV cameras were hovering like vultures and everyone was certain that he would abandon. To my amazement he climbed back on the bike and fought on. Somehow, he found the inner strength to finish the stage and make the time cut. Andy knew at that point that he hopes for any positive outcome in the race were completely blown. But he finished the stage—even though he was all alone out there. He ended up more than 30 minutes behind the leaders and dead last. It was a clinic in courage, heart, and perseverance. It reminded me of one of my favorite John Wayne movies as a kid: True Grit. Maybe Mick Rogers was speaking to Andy. Probably he was speaking to the rest of us as well. Image credits: Cycling Weekly, iafrica.com.